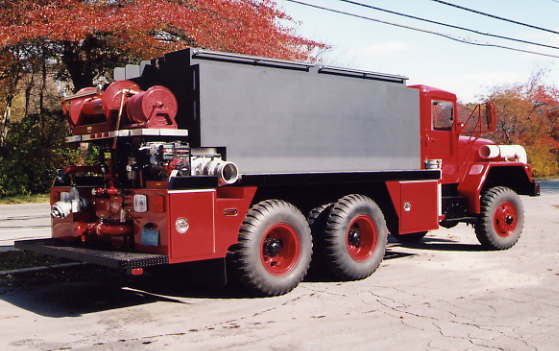 forestry unit with a 285 gallon water tank and class A foam system. 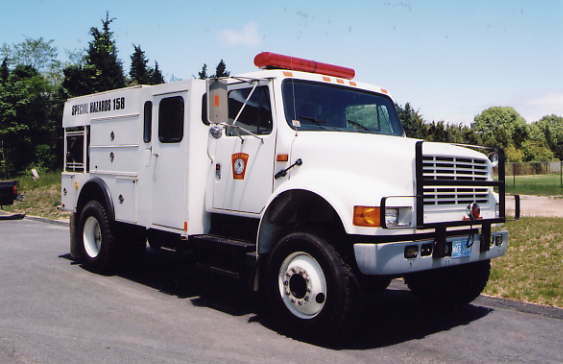 The CCNS forestry unit replaced the 1991 Metal Masters forestry unit 277. 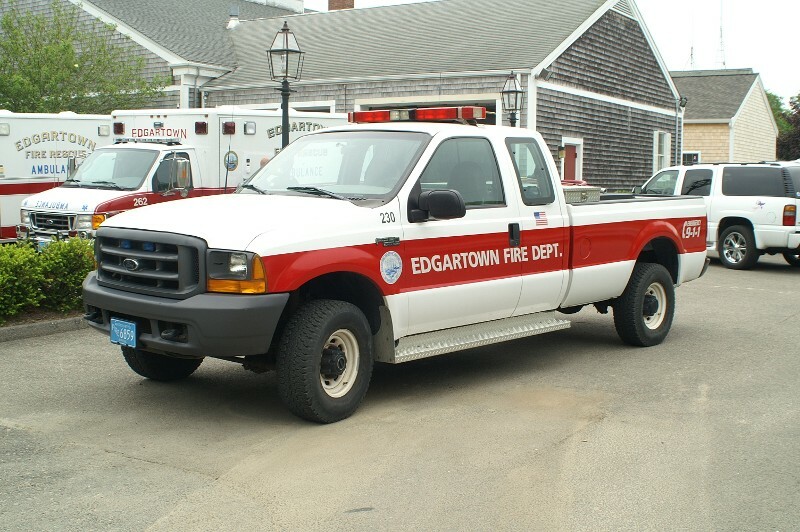 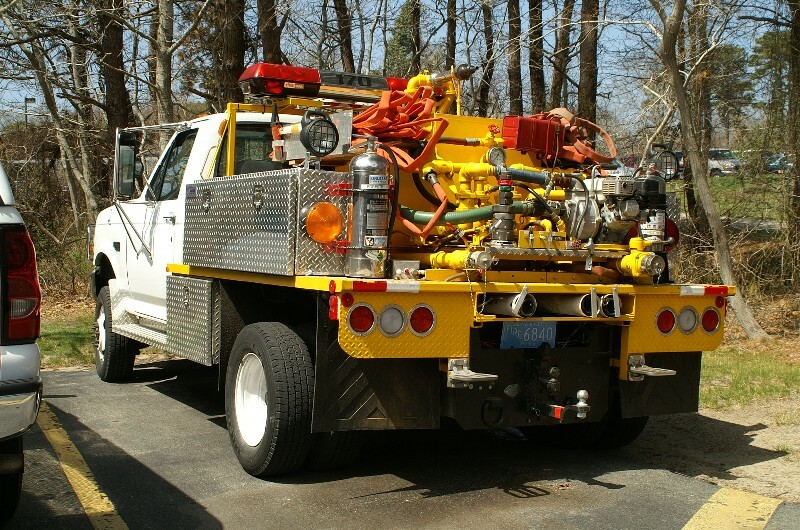 Edgartown Forestry 230 2002 Ford with 150 gallon skid tank. 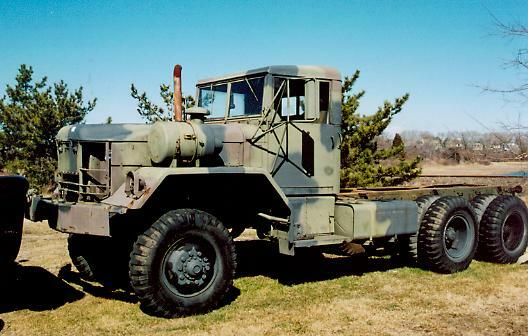 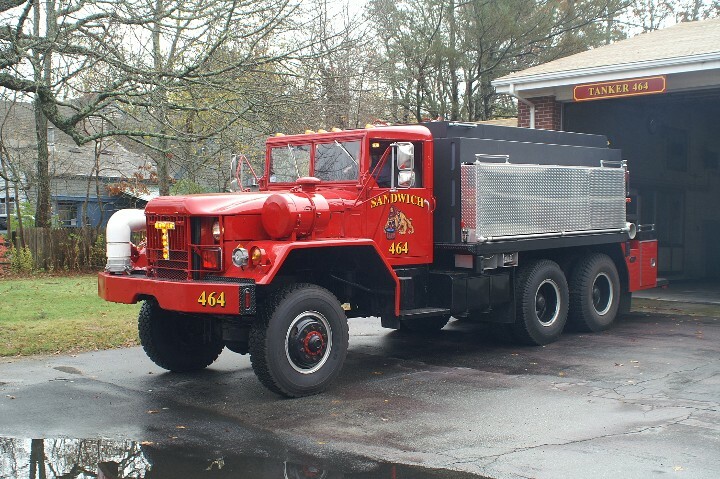 Sandwich acquired this 1980 AM General 5 ton former military chassis to build a new tanker. 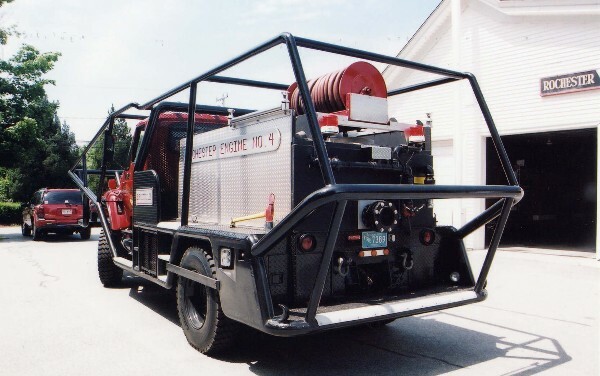 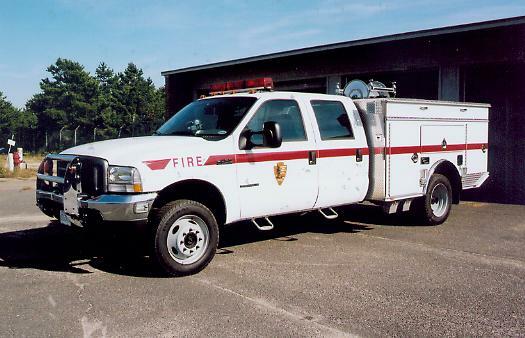 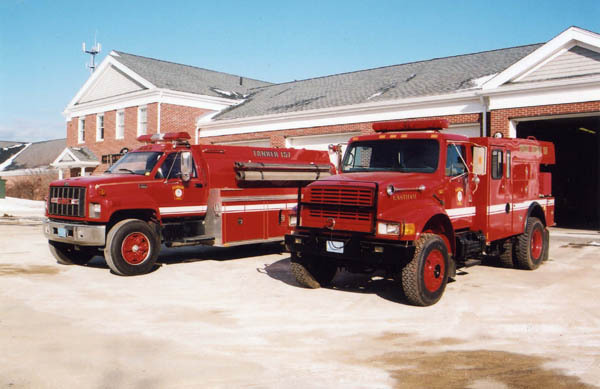 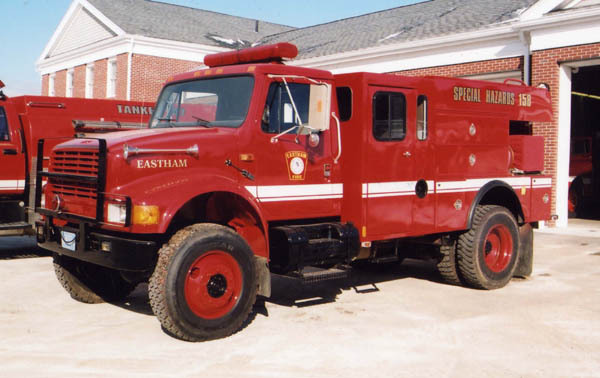 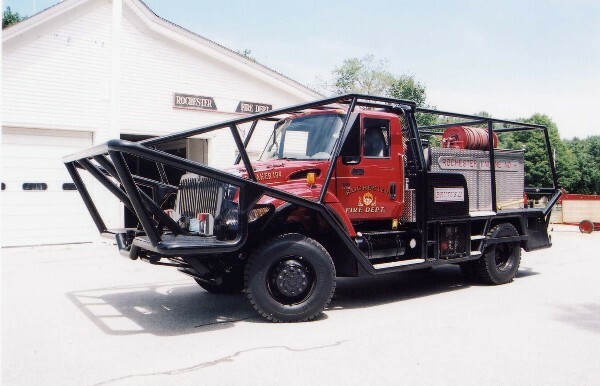 Seashore was acquired by the Eastham Fire Department in 2003. 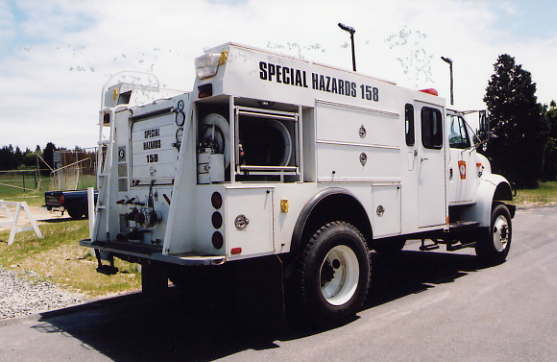 Eastham turned the vehicle into a Special Hazards / Forestry unit 158. 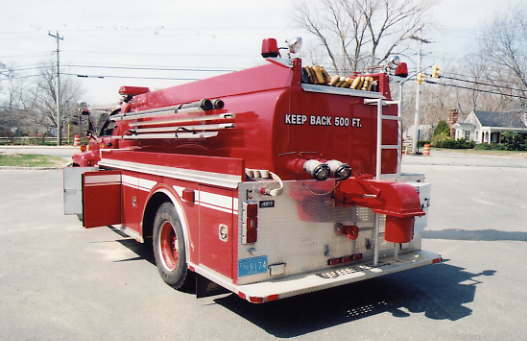 Eastham Special Hazards 158 was painted red in 2004. 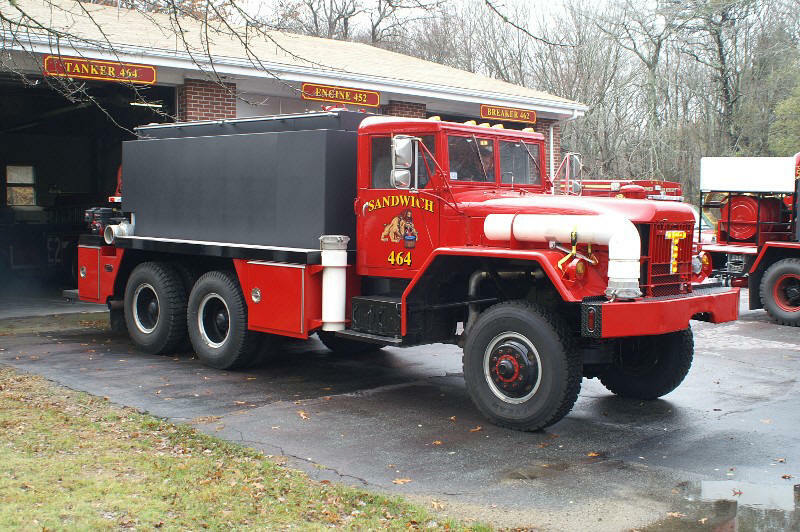 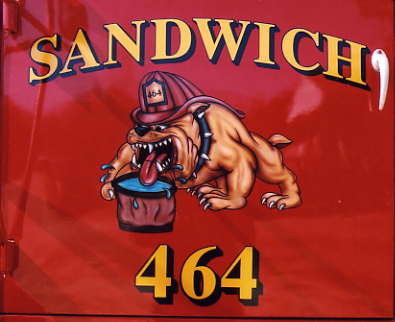 It has a 175 gpm pump - 500 gallon tank - and has 20 gallons of class A foam. 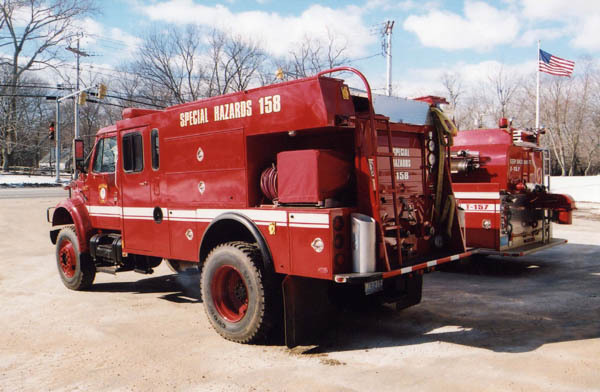 Eastham added a cascade air system and lighting to the Special Hazards 158. 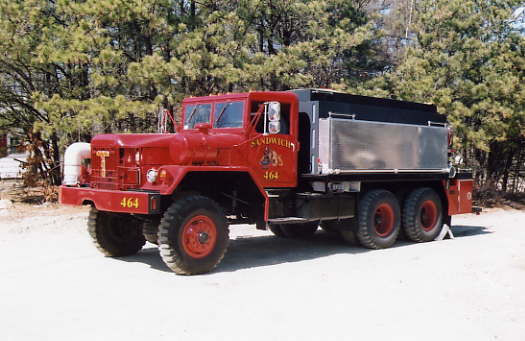 Eastham also added a tanker to the roster in 2003. 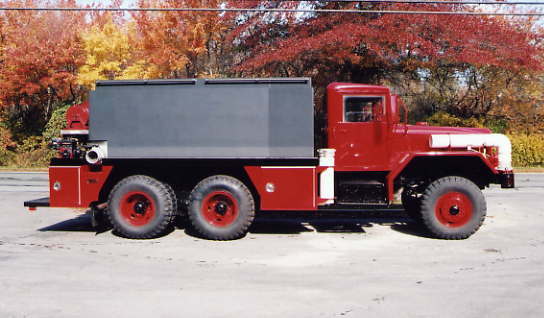 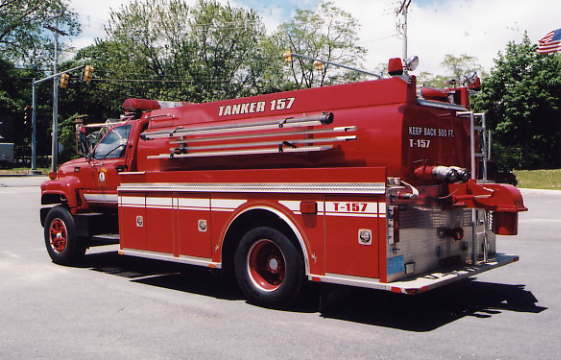 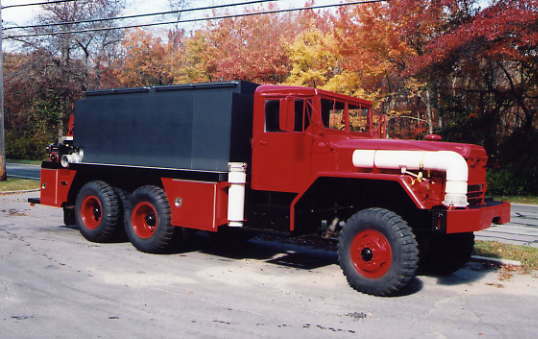 Tanker 157 was purchased used from a department in Canada. 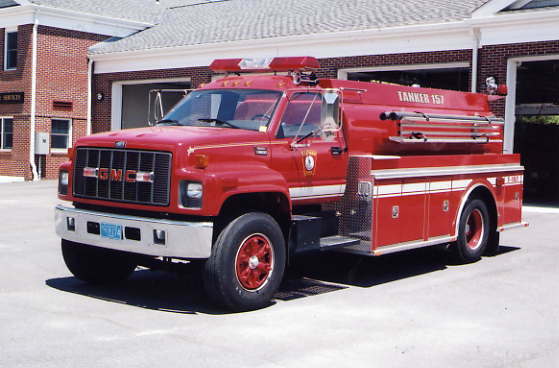 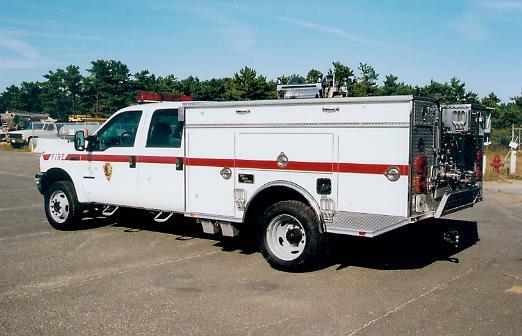 Eastham Tanker 157 is a 1997 GMC / Almonte 500 gpm / 2000 gallon tanker. 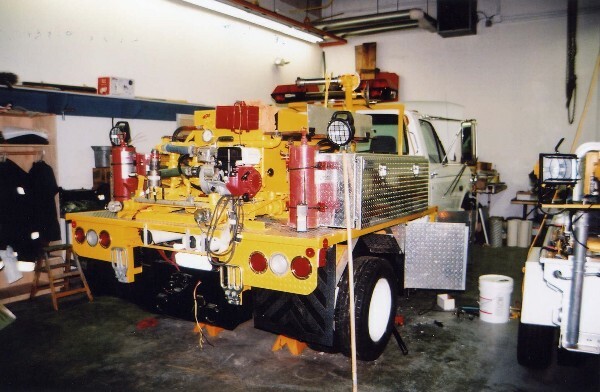 Orleans Fire Department's new Forestry 169 under construction in 2004. 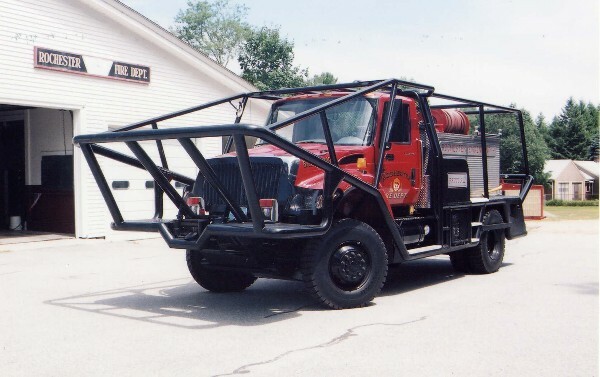 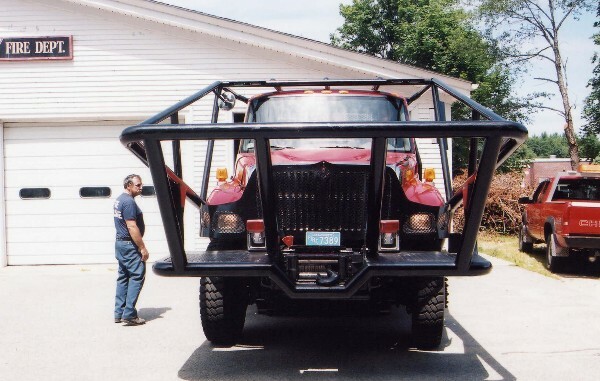 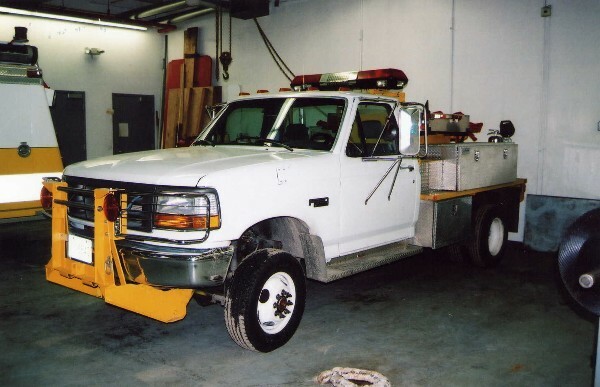 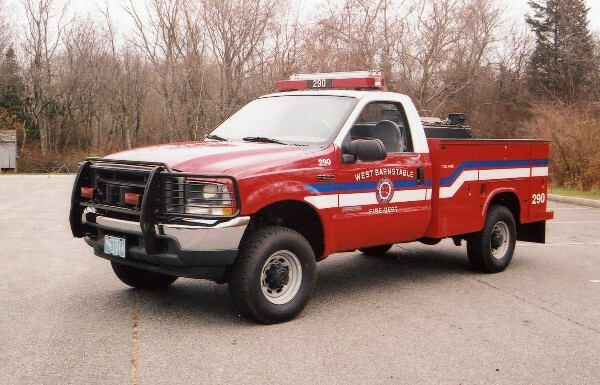 West Barnstable placed this 2004 Ford F350 Forestry Truck in service as Patrol 290.